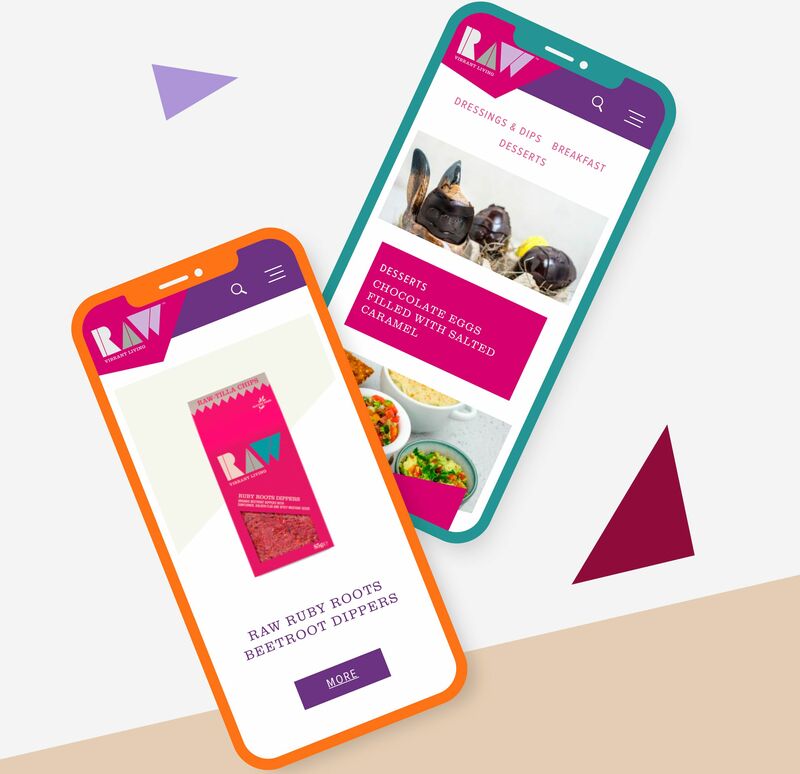 Entice new and existing customers, showcase the brand and spread the word about an alternative way of eating was the brief from the Raw team, who are driven by a desire for people to live their best lives through energising and balanced foods. 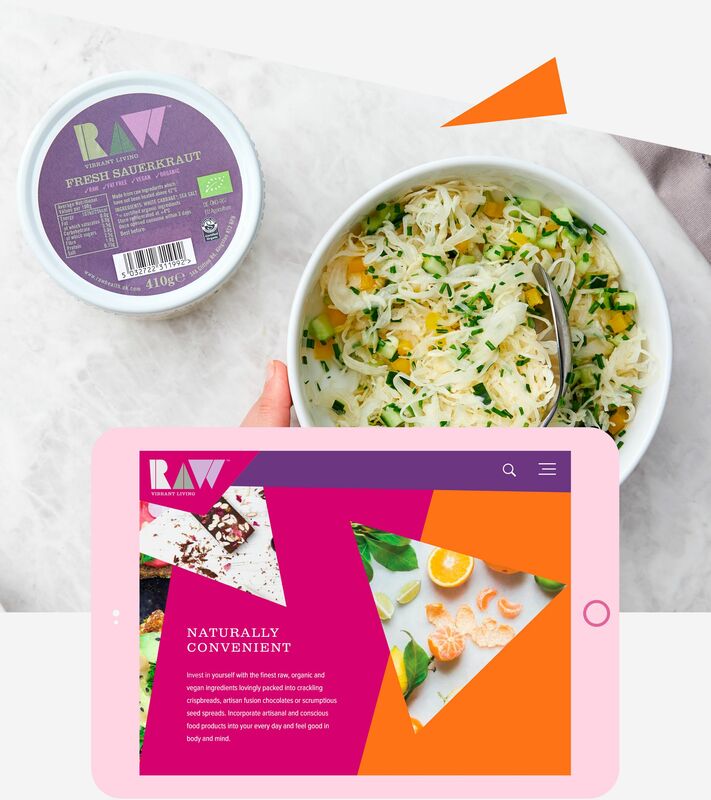 Dedicated to delicious healthy food, Raw wanted a site to reflect their foodie tendencies as well as being a tool for communication. They were clear about their vision for the site and requested a vibrant and fluid user experience, beautiful photography and engaging copy delivering key messages. We absolutely love the Raw site. Our in-house photographers totally nailed the brand personality with mouth-watering product and recipe shots and the colour palette of the site lifts the energy of the build. The areas of copy we were tasked with speak volumes and clearly resonate the dedication Raw have to their mission. The design of the site needed to be fluid and energetic and the team delivered over and above with the cool sliding/rotating banner and navigation that’s both easy-to-use and quirky enough to pique interest. The ‘find a stockist’ feature is quick and simple and works beautifully on mobile, as does the inspiring recipes filter, making it easy for foodies to use Raw products and ingredients. It’s a sophisticated site build-wise, yet also managing to be fun – packed with personality and love, just like the Raw brand.